Dante and Petrarch had many commonalities – they were great literary figures, they contributed to the development of Italian literature, and they both experienced the political divide between Guelfs and Ghibellines. The rivalry between Ghibellines and Guelfs led to the expulsion of Dante and Petrarch’s family as they sided with the Guelfs. But this rivalry between Ghibellines and Guelfs not only created an impact on the lives of this 2 figures, but also created a mark in the political history of Italy. These 2 parties represented the competing interest of the 2 most powerful figures in Medieval European politics – Guelfs or guelphs supporting the Pope and Ghibellines supporting the Holy Roman Emperor. The Pope led the Catholic Church, by then, the richest and most influential institution of the Medieval Age and stood as a central power that connected all of Europe right after the fall of the Rome in the 5th century. On the other hand, the Holy Roman Empire was a state composed of loose principalities that elected an Emperor. The Emperor led his Central European realm either nominally or by force and exacted his authority through divine right. These 2 divine authorities – one leading an institution, and the other a federated empire – clashed over influence and authority that led to the emergence of the Guelfs and Ghibellines. The name Guelfs and Ghibellines came from the Game of Thrones of 2 houses in the Holy Roman Empire in the 12th century. In one side, the Guelf came from the Bavarian Welf Dynasty. On the other hand, the Ghibellines’ name came from Waiblingen, a castle of the Hohenstaufen Dynasty of Swabia that challenged the Welfs for the throne of the Holy Roman Empire. 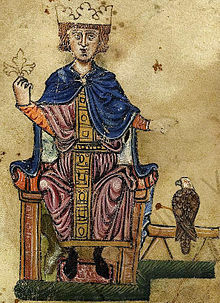 The competition only ended with the Hohenstaufen Dynasty started to rule the Empire with Emperor Frederick I.
Frederick I who ruled from 1152 until 1190 aimed to reassert imperial authority, especially in Northern Italy that once ruled directly by the Emperors and fell into small independent states or communes. 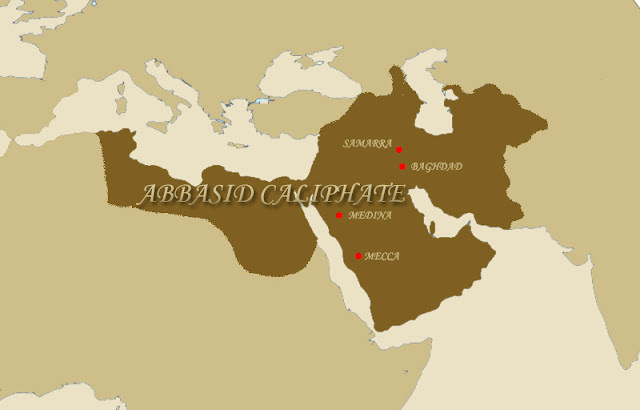 From 1154 up to 1183, he led 6 expedition to the region reestablish his control. His advance to Italy gave him his famous Italian nickname inspired by his red beard – Barbarossa. His attempt to reassert his control met opposition from numerous Italian communes and Pope Alexander III, who commanded great influence in the region and wanted also to put a stop in Barbarossa’s advance. They formed a coalition called the Lombard League. In the middle of the 3 decades of resistance, Florentines thought of a name for those who opposed the German Emperor inspired by the recent political divide of the Holy Roman Empire. Frederick Barbarossa being a Hohenstaufen, they called his supporters as Ghibellines. They then decided to naturally name the resistance party as Guelfs, the Italian for Welf. Barbarossa’s advance to Italy eventually ended in failure. He suffered a military defeat in the hand Lombard League and the Pope in the Battle of Legano. After which, he decided to end the conflict the Treaties of Anagni, Venice, and Constance that recognized the Pope and the autonomy, if not the de facto independence, of the many Italian states. After Barbarossa, his successors tried again to reassert Imperial authority over Italy and challenged the Papacy’s power. It polarized cities that already suffered from social divide and made different states fight the other. This resulted into exiles and foreign intervention that destabilized Italy’s political arena. In many Italian states, especially the commercially successful, the divide between Ghibellines and Guelfs worsened the already existing tensions between merchants and landed aristocracy. Most nobles joined the Ghibellines because the privileges the landed gentry enjoyed under imperial tutelage, while most wealthy merchants supported the Guelfs to oppose the stifling and restrictive authority of the Emperor. These tensions with their political rally points eventually led to civil strife that engulfed many cities such as Genoa and Florence. In the end, the defeated party suffered exile as in the case of Petrarch and Dante. In Florence, Guelfs suffered exile in 1248 and 1260. The properties of the defeated also were confiscated and became booties for the victorious. When one party dominated a city, it sometimes also went to war with the city state dominated by the opposite. 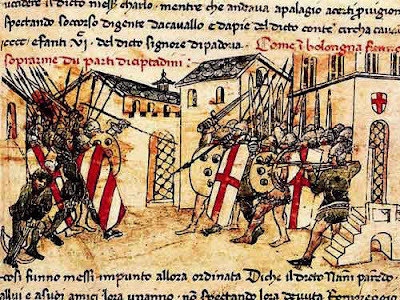 For example, the Guelf Genoese and Florentines fought the Ghibelline Pisa and Siena. Only Venice that choose to concentrate in its commercial activities went unscathed by the Guelf and Ghibelline fighting. Because of the Guelf and Ghibelline competition, Italy became a battle ground for foreign powers. German Emperors continued incursions and Popes resisted and sought assistance from other powers. 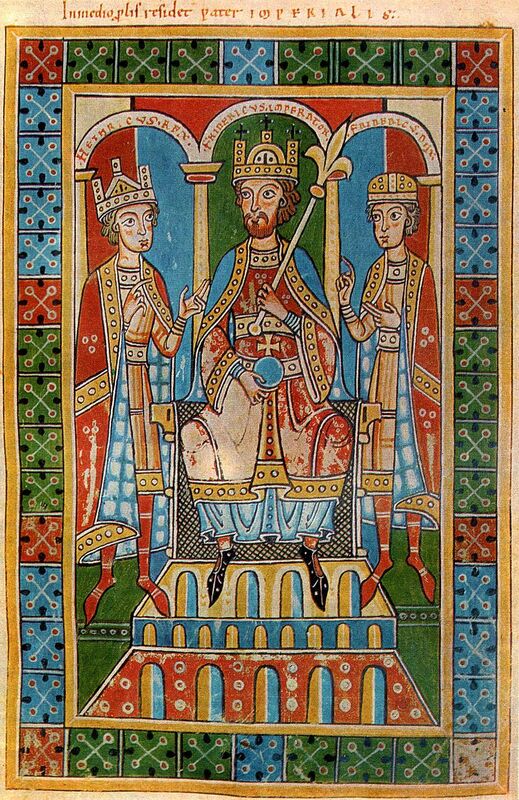 In the 1230’s Emperor Frederick II, grandson of Frederick Barbarossa, aimed to finish where his grandfather failed. He struggled with the Pope and took some of his lands. He took Sardinia, which was nominally under the Pope, and married off his son to a local princess and declaring him King. Ghibelline parties also started to rose up in Rome. He successfully defeated the Guelf Lombard League in the Battle of Cortenuova. He took the opportunity to re-impose imperial rule by establishing viceroyalties in Italy and placing the population under constant surveillance. He also threatened to extinguish the Pope’s power by besieging Rome in February 1240. But the death of the Pope led to his withdrawal with the view that the Papacy won’t pose a threat for a long time. That, however, was a mistake. The next pope, Innocent IV continued the fight against Frederick, calling him the Anti-Christ and rallied the Guelfs to fight the Emperor and the Ghibellines. The Guelf-Ghibelline War ended only with the death of Frederick in 1250. Nonetheless, Ghibellines continued to dominate the Italy ever since. Only in 1266 that tables turned when Charles of Anjou marched into Italy in support of the Pope and the Guelfs that the Ghibellines suffered defeat. In the aftermath, Guelfs’ attention turned from opposing Ghibellines to keeping them out. They benefitted with the exile of the Ghibellines. Soon, however, cracks formed within the Guelfs. In Florence, 2 Guelf parties emerged – the White and Black. The White opposed to the growing influence to the local affairs by the Papacy, in particular that of Pope Boniface VIII, while the Black remained staunch supporters of the Pope. Nevertheless, the Ghibellines continued to be a threat as several Emperors continued to aspire for control over Italy, like Henry VII and Louis IV. The 14th century saw the decline in the fighting between the Guelfs and Ghibellines. The Holy Roman Emperors started to lose interest in Italy and concentrated in consolidating power within Germany. The Popes also lose interest when the Papacy moved its seat from Rome in Italy to Avignon in France. The remnants of the Guelfs and Ghibellines solely focus on local antagonism between different factions. In the 19th century, at the height of Italian Unification, Neo-Guelfs and Neo-Ghibellines emerged with the latter believing in the Pope’s role in unifying the Peninsula and the latter otherwise. The Guelf and Ghibellines symbolized the division that prevailed in Medieval Italy. It illustrated the divide in society and whose authority they wanted more. It impacted the history of many Italian states like Genoa, Florence, Pisa, and Milan, as well as the lives of many Italians, like Dante and Petrarch. It was the predecessor of the left and right wing of modern politics that fight for control of power. Eventually, the parties disappeared as the political climate changed. But the concept of political divide it represents continues to be relevant to this day. English, Edward. Encyclopedia of the Medieval World. New York, New York: Fact on File, Inc., 2005.